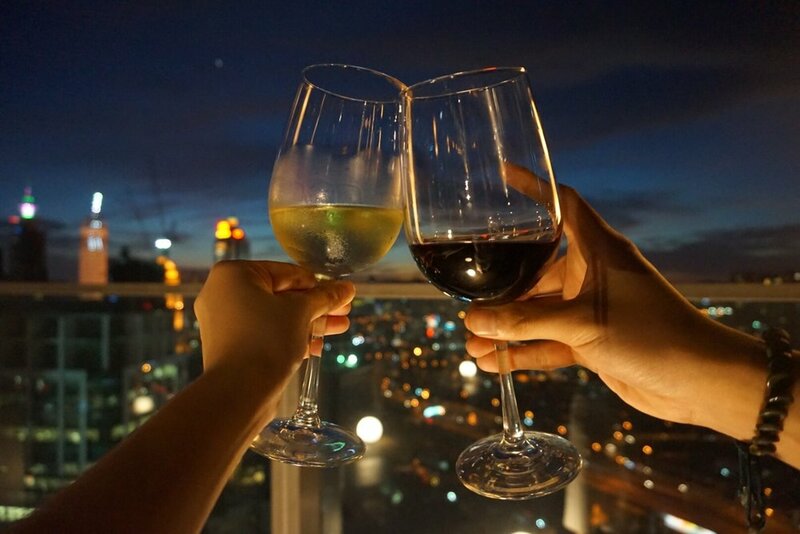 A brand new rooftop food escapade in the heart of KL with a beautiful view of the city, food & drinks to go with it. Roofino Skydining is a brand new Western restaurant & bar that I'd say is to be one of the next new hotspots thanks to its location. The rooftop restaurant & bar is located at opposite ends. My favorite part of the location is definetly still the bar lounge. A very relaxed ambiance to it, perfect for pictures! The lounge was very relaxed with good music playing all night. It isn't your typical club or bar, I'd say it's much more classier than that. The restaurant on the other hand has a very vibrant ambiance to it. I'd say it's quite the opposite from the bar lounge but it's beautifully decorated as well with a nice rooftop garden to it. As part of the media launch, we were the second batch of customers to try their food. I'm thankful for free flow drinks but an honest review is what I owe my readers. Hence, I would give the food a solid 6/10 as it definitely still needs work. *Do take note that they just started so I'd say give them time to blossom. The baguette was a little cold and hard but I suspect it's because of the overwhelming amount of customers so I don't blame them. The taste of the toppings were very tasteful. Very tasteful but onions aren't my favorite so this wasn't something I had finished. Could have been better, I suspect the fish wasn't the freshest? My number one favorite dish! The garlic sauce they had on my steak was perfection. It went beautifully with my medium rare, very tender steak. The dessert was my second favorite part! A beautiful mess indeed.